Trainers use energizers and warm-ups during activities to boost participant’s energy level and recharge the group. They can be used to start team meetings, courses or workshops, to bring the group together after a break or a long presentation. There are several energizers, depending on the objective you want to pursue. In general is a short activity – from 5 to 20 minutes max – in which the group is asked to do something together, in smaller groups or by couples. A classical energizer meant to infuse and renew a bit of energy back into the group is Zoom, Zap, Swoosh. Who receives the energy can pass the energy it to the next person “zoom” or stop it (zap). 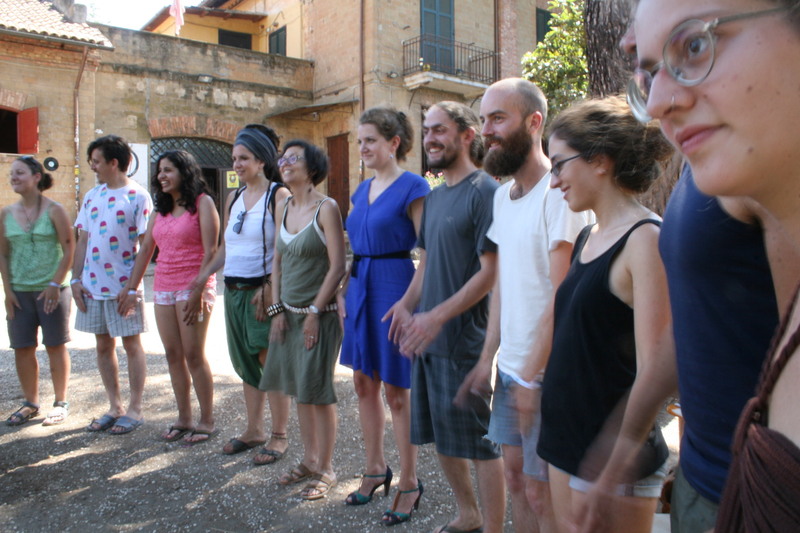 To “zap” and change the direction of the energy flowing, the participant has to raise her/his hand in front of them. Then he or she passes the energy on the other side. It is not possible for one participant to “zap” twice in a row. Finally a participant can “swoosh” the energy by passing it to another person (not on their sides) in the circle, pronouncing “swoosh”, looking at the person to whom to pass the energy and forwarding it with a movement of arms and hands in her/his direction. Faster/Slower: participants increase/decrease the speed of the clapping. The energizer ends when the ride reaches the maximum speed. This energizer is a nice tool to help the group to concentrate and catch the attention before starting a workshop or a session. Participants form a circle taking by the arm, everyone is silent and concentrate, the eyes can be closed. 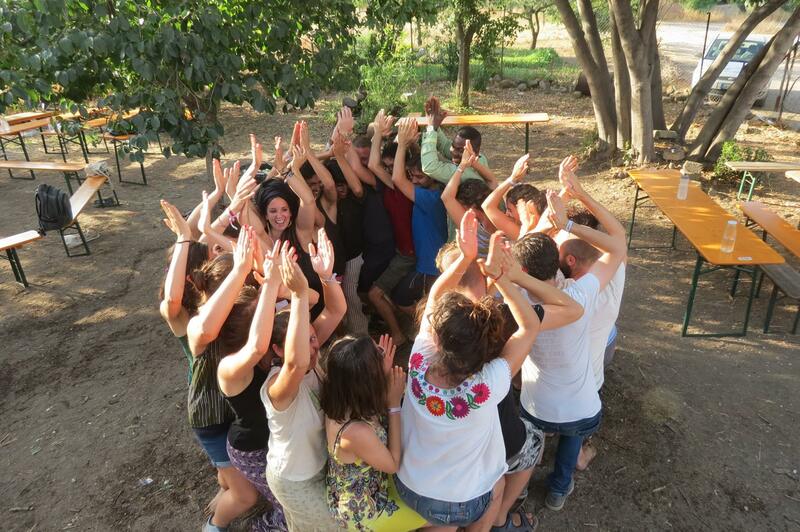 The trainee start the energizer by pressing the hand of the person on its left, each participant repeat the action, in this way the shock flows through the circle. Once the shock completes the circle ride the trainee again spread the shock, from both the hands simultaneously, extra shocks can be added by the trainee from both the directions. Each participant helps the shocks to flow across the circle, even when they meet. The warm-up ends after few rounds when the group is loaded for the session.